New elastic material eliminates tangles, pulling and broken ends while you braid. Choice of salon pros, these braiding bands are now available for your horse! Unlike rubber bands, which break down with age and sunlight, Slick bands won't dry out. All 400 braiding bands are usable, this year and next! They also won't dry your mouth out or taste bad when you are banding! Size: 400 bands ber bag. 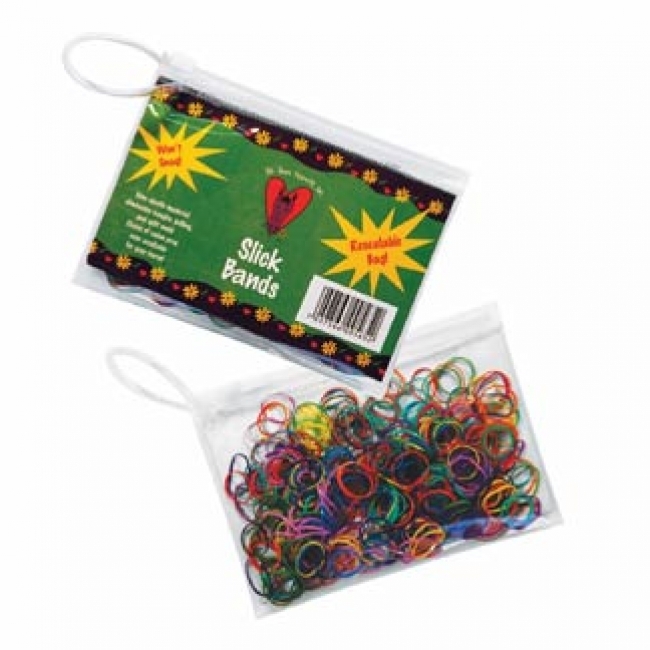 Comes with handy, resealable bag to keep your braiding bands in. Traditional colors or fun bright band colors to choose from.